My four days at Londolozi with my family back in April may have been very similar to those of many of you. We all have this in common that our days at Londolozi are made of the same raw material: the amazing unspoilt landscapes, the encounters with what seems like an infinite list of wild species, the real life scenes that unroll before our eyes and bring us back to our childhood dreams, the fantastic time with our rangers and trackers (thanks Callum and Freddy) and the magnificent food and wines (remember I am French, I don’t take those matters lightly). I should actually have spoken of our minutes at Londolozi, not our days, as time in the African wilderness has this unique feature of being about 1000 times richer than anywhere else. Days are long but never exhausting, emotions are so rich and so many that one feels that one has been there for weeks even at the end of a short stay. 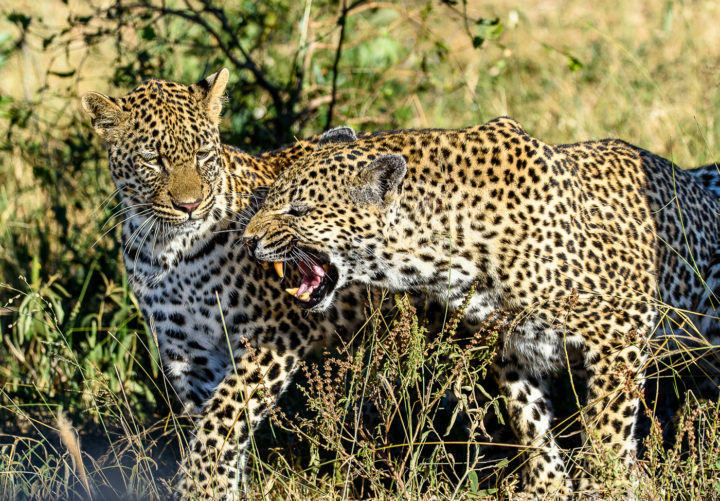 The Xidulu female leopard photographed with one of her youngsters before her unfortunate death. At this time she was trying to move off and leave the cubs to go hunting and they kept trailing her, hence this display of aggression. The Tsalala Breakway young males rest in the morning sun. 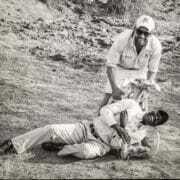 Shortly after this photograph was taken they noticed vultures landing and followed them to an elephant carcass nearby. 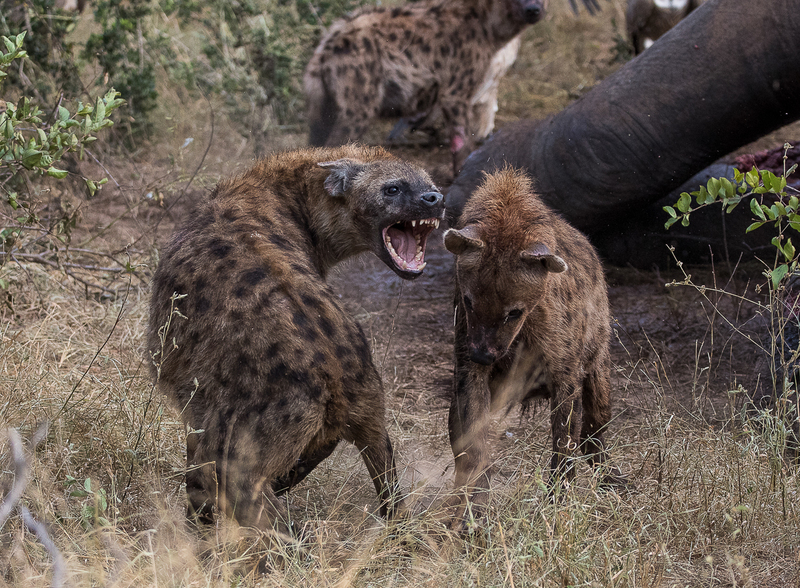 Two hyenas have a scrap over an elephant carcass. Despite there being a lot of meat to go around there is still competition between predators at carcasses even as big as this. 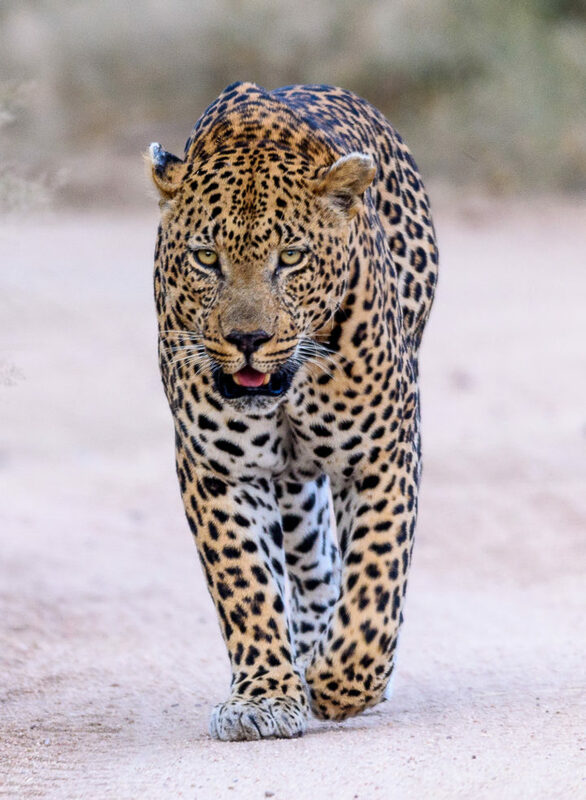 The Piva male leopard strolls toward our vehicle, completely unperturbed. 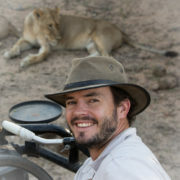 I have dreamt for decades about seeing Londolozi’s leopards and this particular sighting left me with tears in my eyes. 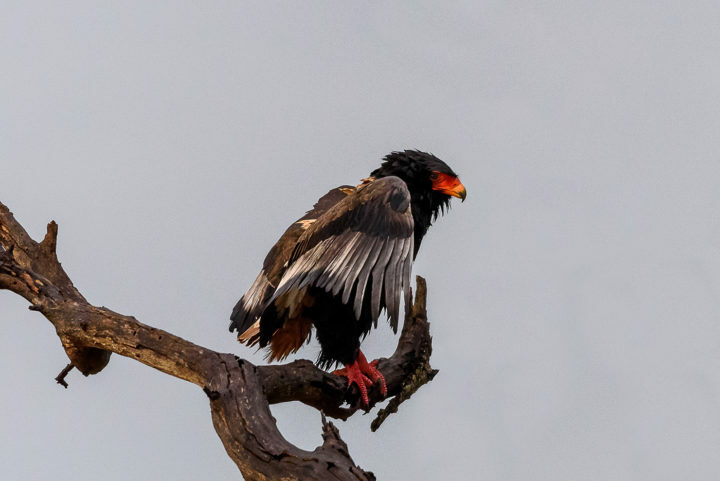 And if we had seen only those amazing sightings we would have fulfilled our highest expectations and would have returned home with a bank of amazing memories and been ever so grateful to Londolozi. But actually, in between those highlights, so many small things happened too. At the start they seemed secondary to our experience but in the end they actually turned out to be as important as the big moments. 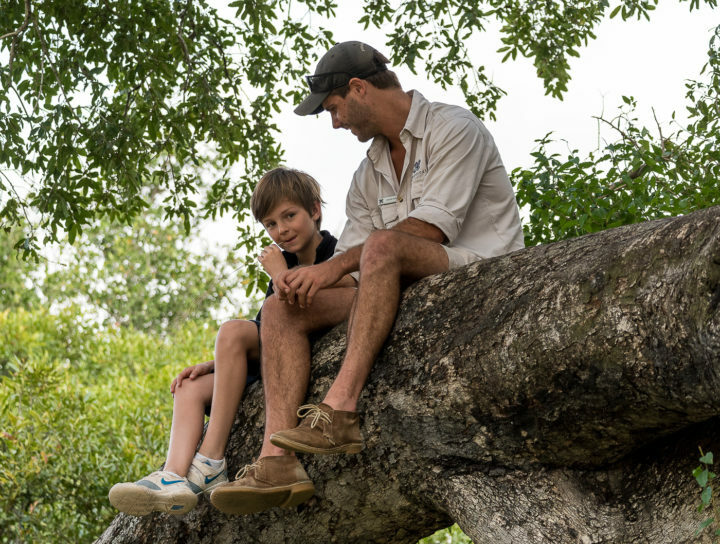 When I will have forgotten everything about my stay here, there will still be this moment when Callum took my son Antoine to climb the very tree where a pride of lionesses had rested a few days before. To witness the intensity of my son’s interactions with Callum – even in his limited English – will never go away. Callum sitting with Antoine in the huge Jackalberry we had seen lions resting in just a few days before. It was moments of connection like this that really made Antoine’s trip so special. Or, when looking for a leopard that we eventually couldn’t find (very unlike Freddy…) we discovered a plethora of birds and testing my amateurish photographic skills on them actually became the primary purpose, not a secondary one anymore. 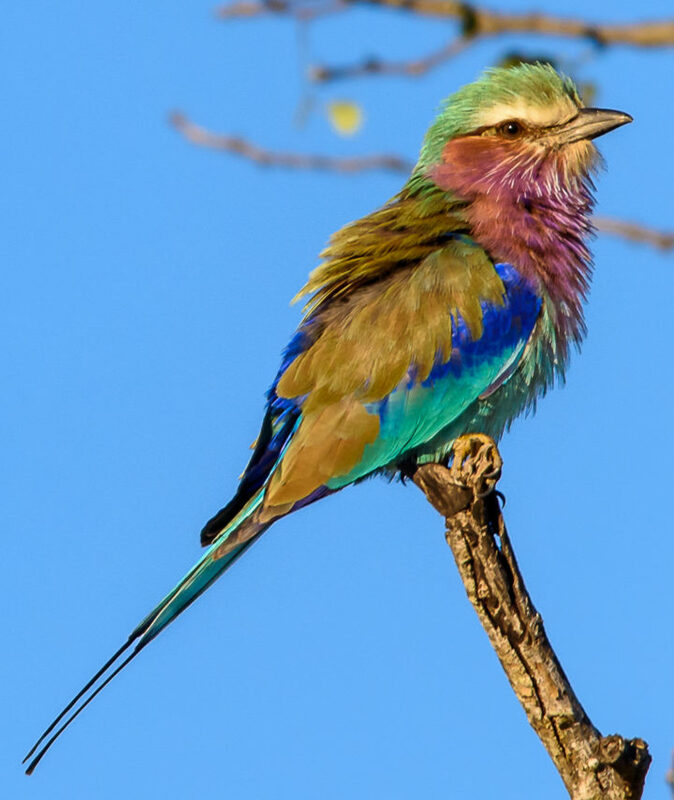 I am not a bird fanatic and will always be more attracted to big cats but I must confess that when I see these pictures again I am reminded of just how beautiful it was to see these birds in real life. A lilac-breasted roller, one of my favourite birds of the trip. 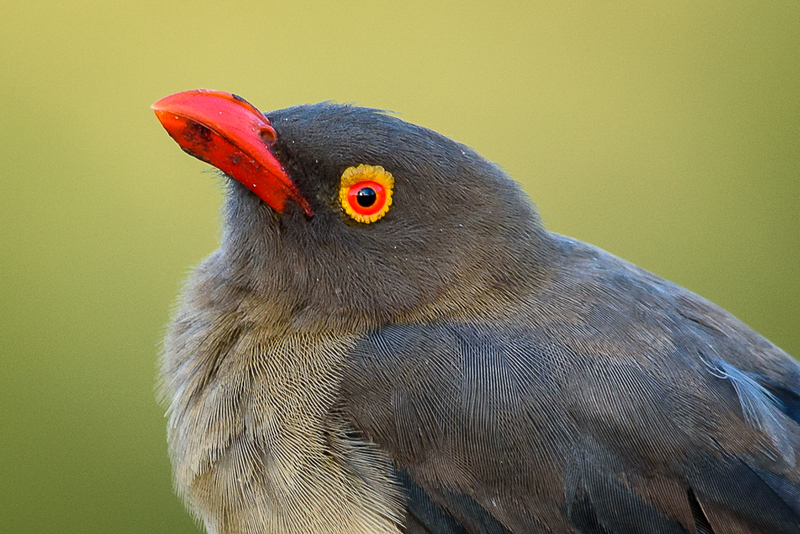 A red-billed oxpecker, which allowed us to get surprisingly close. These birds sit on the backs of mammals and remove ticks and parasites from their skin and fur. A bataleur waits for the sun on a cold wintery morning. Once it has warmed up it will take to the skies, scanning for food on the ground to grab or scavenge on. 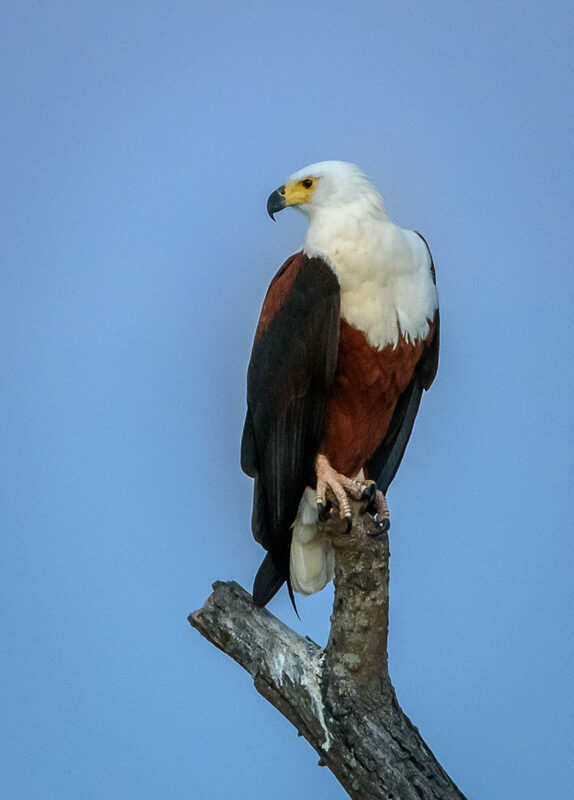 An African fish eagle rests on a perch, looking towards its mate on the far side of the waterhole. It’s from perches like these that they swoop down and grab fish from the water to eat. 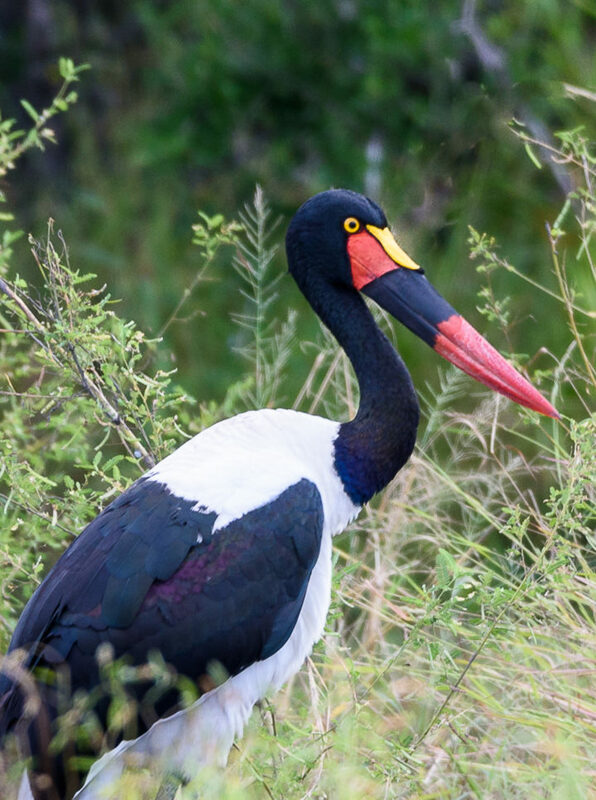 A saddle-billed stork moves along the vegetation growing on the edge of the Sand River. This one is a female, which can be seen by its yellow eye. Other special moments include when we paused in the bush for coffee and spotted tiny forms of life. I realised how truly fascinating they can be too. 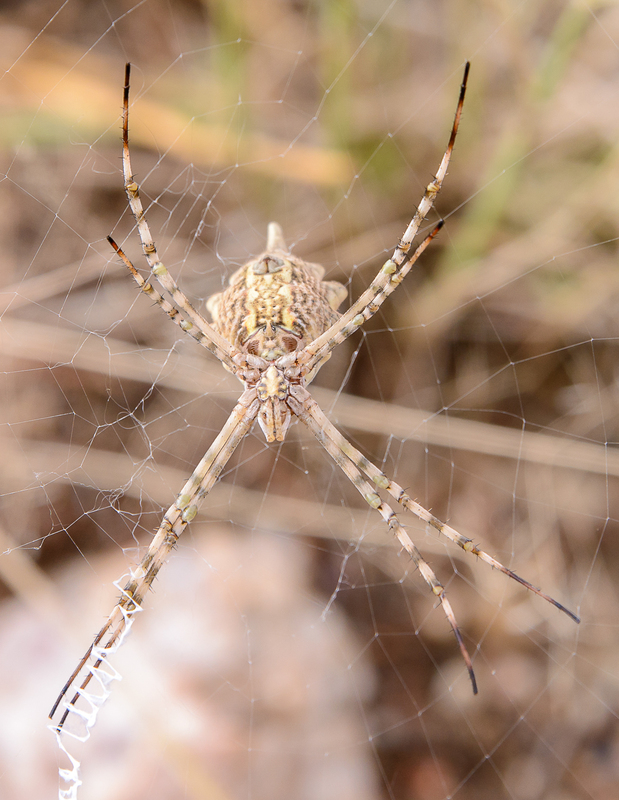 A garden orb web spider, beautiful and non-venomous. 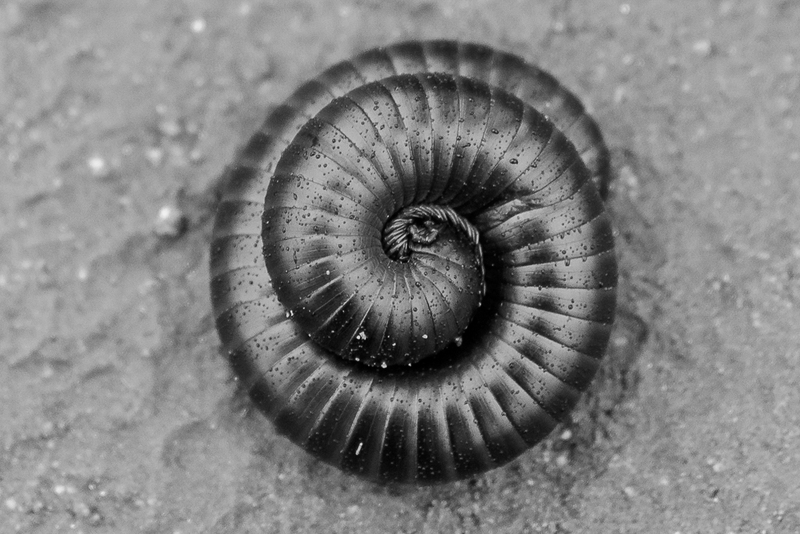 A banded groundling rests momentarily on the ground. 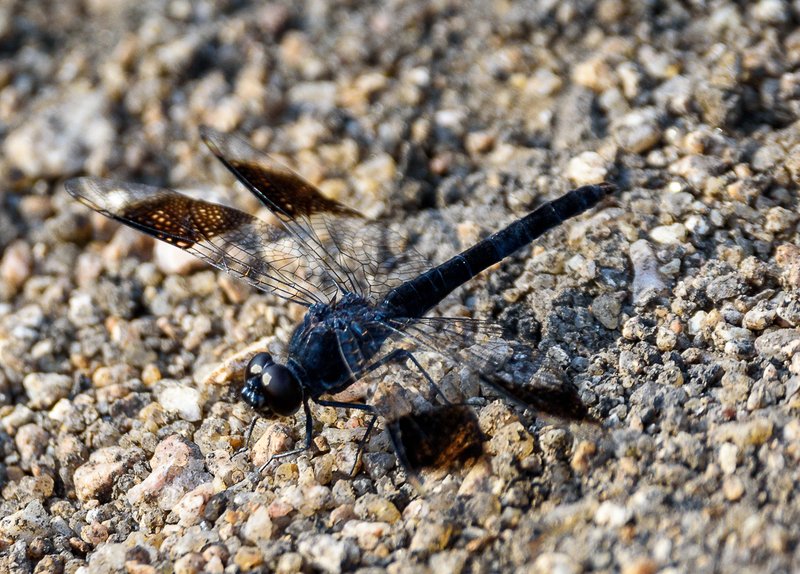 These dragonflies tend to follow in the wake of mammals, hoping to catch little insects disturbed by the movement. A millipede also known as a shongololo wraps itself into a tight ball as a means of protection. The resultant spiral it created was too beautiful not to take a picture of. And this is when I realised that although our four days were in many ways similar to those of other guests, they were unique to us and will remain ours forever. No one else will have had the same trip, nobody but me will think back of the promise I made myself 20 years ago when I was living in South Africa to come to Londolozi one day and actually see those leopards that I had dreamt so much about. 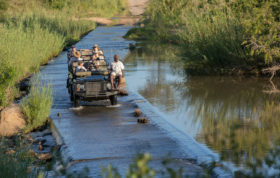 My tears when watching the Piva male walk alongside the Land Rover belong only to me, the intensity of every minute spent at Londolozi is different for each of us and that is what makes the experience unique. 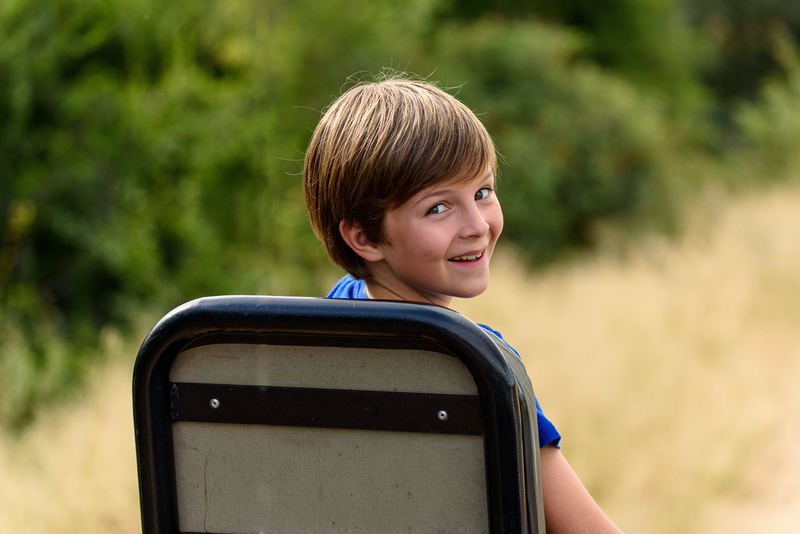 My son, Antoine on the tracker’s seat, the spot normally reserved for Freddy. It is this photograph that sums up the joy of our experience for me. 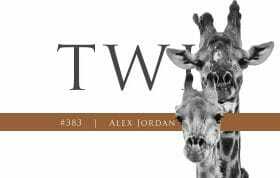 The best illustration of this is a photograph I captured of my son’s eyes, which sparkled with happiness during our game drives. 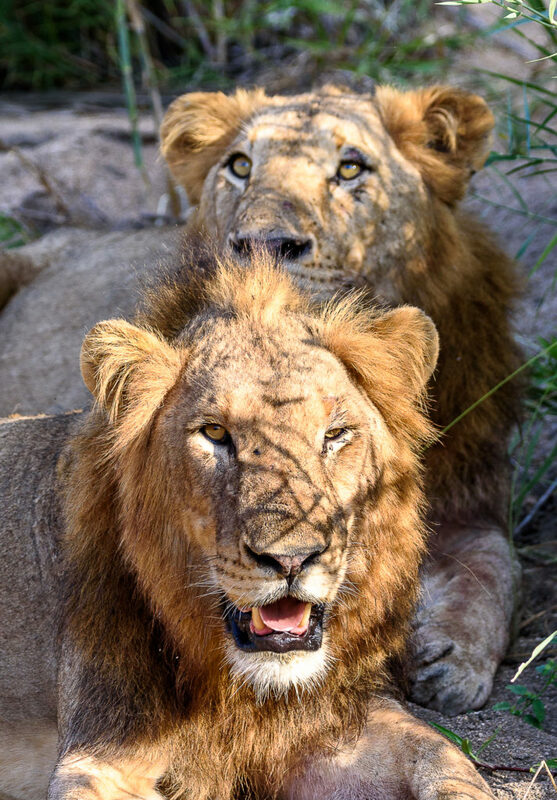 This is the best summary of my stay at Londolozi and the main reason why I know that one day… I’ll be back. Wonderful photos and a heartfelt story. 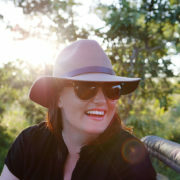 I love Londolozi and plan to return someday, perhaps with my granddaughter who would truly love it like I do. 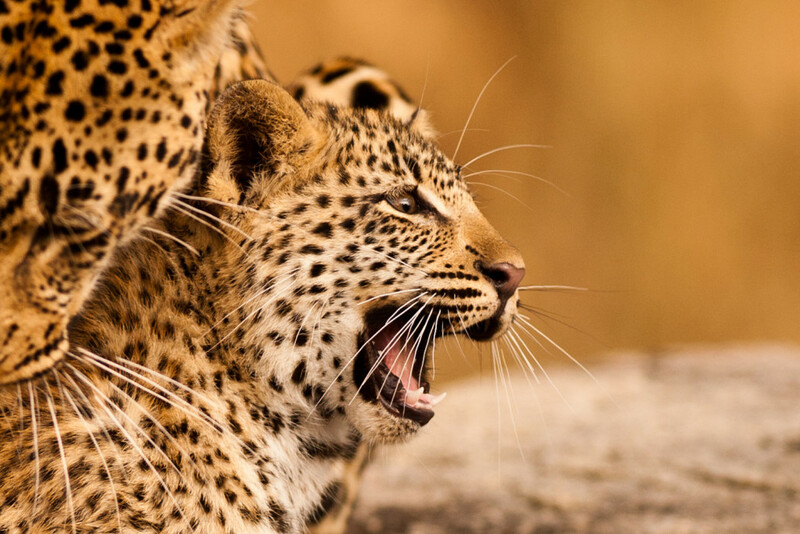 This is a spectacular article in capturing both beautiful, honest images and heartfelt, raw emotions that embody the real essence of even a short trip to Londolozi. 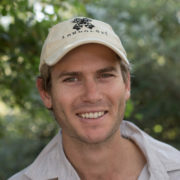 Thank you, Sylvain Villeroy De Galhau, for taking me back to Londolozi in spirit – breaking my heart open once again to our truest natures, to love and to the miracle of life then death cycling onward perpetuating itself. brings tears to my eyes!! It is a special place! Just read your second story Sylvain. Amazing experiences. 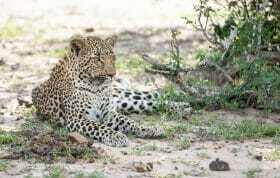 A great image of the Piva male.